Back cover blurb: A MISSING GIRL. Edith Hind is gone, leaving just her coat, a smear of blood and a half-open door. A DESPERATE FAMILY. Each of her friends and relatives has a version of the truth. But none quite adds up. A DETECTIVE AT BREAKING POINT. The press grows hungrier by the day. Can DS Manon Bradshaw fend them off, before a missing persons case becomes a murder investigation? When a young local woman is reported missing, DS Manon Brasdshaw is perversely glad of the distraction. Out on a date with another internet "no hoper", she is slowly despariing of ever finding 'the one'. The missing woman, Edith Hind is the daughter of an esteemed Doctor to the Royal Family, whose friends include high profile members of parliament. The family status does not go unnoticed by DS Manon's superior - the pressure to find Edith alive is immense. Everyone knows that the first twenty-four to seventy-two hours are crucial in a missing person investigation. Those close to Edith must face difficult questions about the last time they saw her alive, her boyfriend Will and best friend Helena are first under the spotlight. DS Manon Bradshaw may have a complex love life but her work as a detective is brilliant. Her relationship with colleague Davy is both professional and at times hilarious. Missing, Presumed is very much a character driven novel, so if you are looking for a fast paced thriller then this might not be the novel for you. That said, it is a good read, and a strong debut. 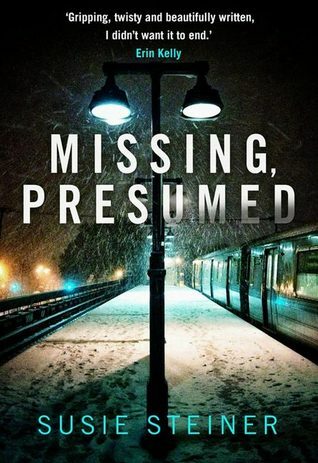 Missing, Presumed is available from 1 September 2016. Thank you to netgalley who invited me to view this title in exchange for an honest review.